For gifts, Chocolates, Inspirational goods, Perfume and much more. 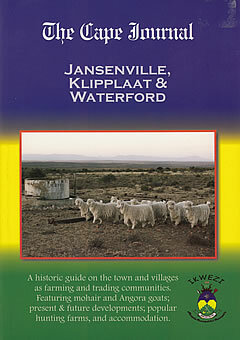 Jansenville Boeresake stock all essentials for the farmer such as Dips & Medication, Animal Feed, Building Supplies, Hardware & Plumbing, Tools, Safety Equipment, Safety Clothing, Fuel & Oil. For all your liquor requirements contact us. We stock spirits, wines and beer. The "Mark vir die Huisvrou" Supermaket stock all essentials such as groceries, fresh produce, cooldrinks etc. A small town liquor store in the heart of the Karoo where friendly service is still top priority. The informative staff will help you to make a decision.